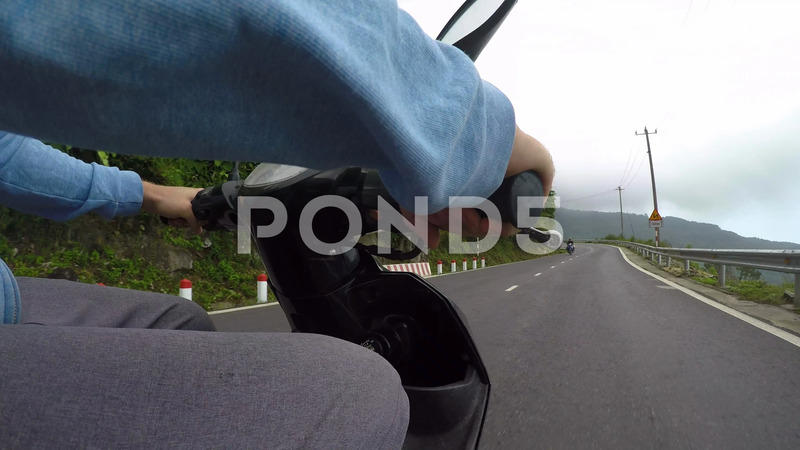 Close Up: Unrecognizable Male Tourist Riding A Motorcycle Across Hai Van Pass. Description: CLOSE UP: Unrecognizable male tourist riding a motorcycle across the breathtaking Hai Van pass. Close up shot of unknown man’s legs as he rides his motorbike through the lush forest in rural Vietnam.